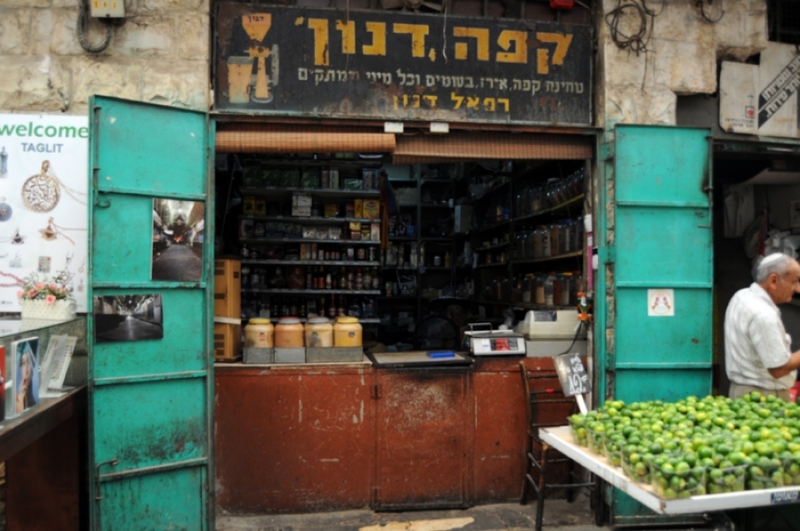 Shuk Map › Eitz HaChaim St.
Stores on Eitz HaChaim St.
Find tropical fruits like pineapple and mango, as well as many types of nuts, at Pri Har. The prime location of this butcher shop, at the corner of Agrippas and Etz HaChaim, means it is constantly busy—so the meat is always fresh. Established in 1989, it has a loyal following. 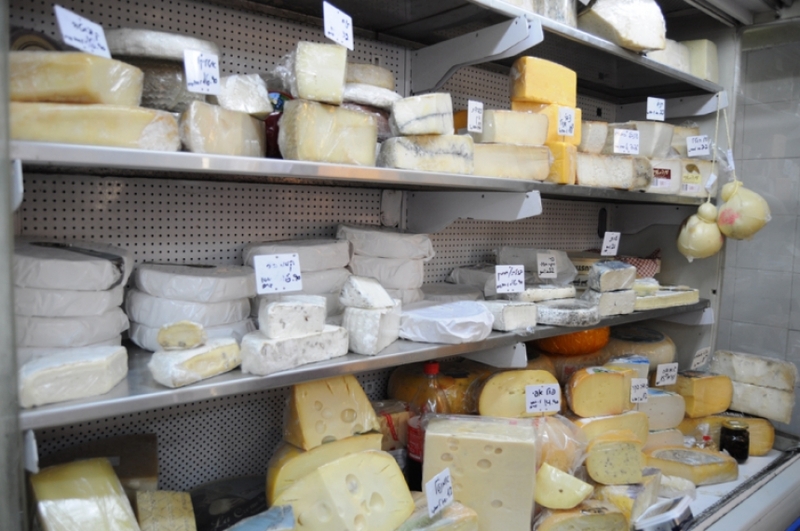 Originally a cheese shop, today there are two Tzidkiyahu branches at the market, one dairy and one meat. (They are on opposite sides of the street.) Find fine cheeses, dips and spreads, olive oil and fish on the dairy side; homemade salads, pickles and cold cuts on the meat side. One of the first stores to sell exotic fruits at the market. Find unusual fruits in stock all year round—highlights include raspberries, passionfruit, lychees and figs. This store sells a variety of equipment and accessories for pets, including food for dogs and cats. Proprietor Yehuda offers advice and answer questions as well. At Tourmaline you can find original designs from local jewelry artists. Pilas bakery is a long-running family business. Find a wide assortment of cakes, cookies, burekas, kanafe and more. This is the Pereg Spice Company store. An enormous variety of common and rare herbs and spices are on offer, as well as mixes for specific cooking methods and ingredients. The salespeople are happy to assist customers in their quest for the perfect spices for their food. The first tobacconist in the shuk, with dozens of brands and all the accessories smokers need. Mifgash HaSheikh is a veteran Jerusalem institution, but opened in the shuk in 2011. Featuring a clay tabun oven, all breads and pastries are freshly baked on location. The bakery also offers sandwiches and drinks. A family business since 1940, this store has always focused on coffee blends, spices and cake products. Today you can also find sushi ingredients and accessories, Indian spreads, tandoori, tea and more. Available for purchase at the Pereg factory store are olive oils, spreads, homemade salads and unusual ingredients. All are preservative and gluten-free. Eli Basher turned this small family business into a dairy empire and a well-known destination for gourmet cheese lovers. With roots in Jerusalem’s Old City, the Halva Kingdom is a family business that’s been operating since the 1940s. Over 100 kinds of halva, made from Ethiopian sesame seeds and secret recipes, is for sale.